This morning, Samsung kicked off the new week by announcing Bixby, the virtual assistant and interface that will be a big part of the Galaxy S8 and Galaxy S8+. Not only that, but Samsung has “thousands” of software developers working on making Bixby a core piece of their brand going forward, which means it’ll be more than a phone assistant. In time, you’ll be able to control almost all of your Samsung devices through Bixby, including appliances. Here’s what we know about Bixby so far. For months, we had heard about Bixby, the supposed virtual assistant set to arrive with the new Galaxy line-up. Up until today, though, we’ve known very little outside of the name, a general idea of some of the things it’ll do, and that we should be able to launch it with a dedicated button on the side of each phone. 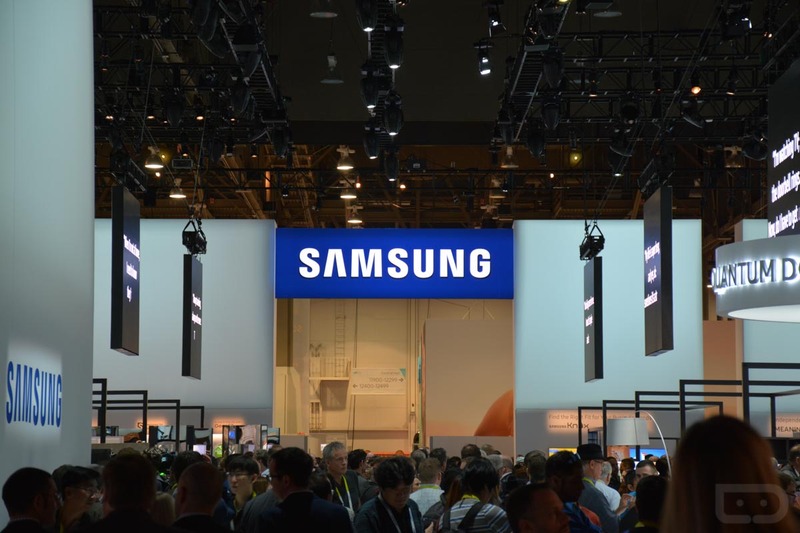 Through a post to Samsung’s own blog, EVP and head of R&D at Samsung, Injong Rhee, walked us through the general concept of Bixby, while also providing some context around using Bixby on Samsung devices. For one, Samsung wants you to believe that Bixby is more than just another virtual assistant. Rather than another option that requires you to learn dozens of new specific commands, Bixby will learn to adapt to you and I as we use it in a natural way (Everyone says that about their assistants these days, by the way.) In Samsung’s own words, they have “employed artificial intelligence, reinforcing deep learning concepts to the core of our user interface designs,” leading to Bixby. For one, Bixby will work with applications, but they’ll have to be “Bixby-enabled.” That’s right, this new tech isn’t going to just work everywhere. In fact, on the Galaxy S8, Samsung has already said that only a “subset of preinstalled applications” will be Bixby-enabled on the Galaxy S8. We’re more than likely just talking about the stock Samsung apps here, like phone, messaging, email, calendar, etc. We could certainly see that Samsung has worked with some 3rd party groups to show off the potential, as well. Either way, this is going to be a slow buildout of Bixby-enabling and will probably take years to be fully realized. Keep that in mind for a while. At some point Samsung will release an SDK to let developers get in on the Bixby action, but that time is not now, apparently. What can Bixby do within an application? Samsung says that when an app is Bixby-enabled, Bixby “will be able to support almost every task that the application is capable of performing using the conventional interface.” In other words, anything you could do by touching the app, you should be able to do with your voice or Bixby. Bixby will be available at all times within an enabled app, while allowing “users to weave various modes of interactions including touch or voice at any context of the application, whichever they feel is most comfortable and intuitive.” Samsung also thinks that Bixby won’t be so intimidating to use, as it’ll work through partial commands and won’t hold users to such specific standards, like other assistants. How will you launch Bixby? Samsung’s post today doesn’t specifically state that you’ll be able to bring up Bixby initially by voice, but they have confirmed that a dedicated button will launch the virtual interface. So in all of those leaked photos you saw that revealed an extra button on the Galaxy S8, we now know for sure that that will be held in place for Bixby. Tap the button, speak a command, and let Bixby do the hard-lifting is the thought here. To recap, Bixby is coming on the Galaxy S8 in limited form through a handful of preinstalled Bixby-enabled apps. Samsung will continue working to make Bixby the assistant of the future across all sorts of their hardware offerings (including appliances) and will eventually release an SDK to make it easier for developers to add Bixby to their own services. This sound like the assistant you were waiting for?